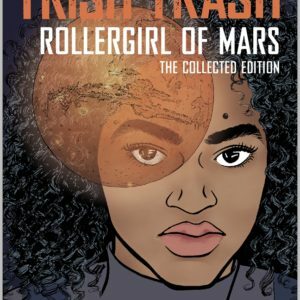 Seven-year-old (fifteen in Earth years) Mars girl, Trish Trash, is still excited about her big contract to the roller derby team, but changes are afoot. She has added a new member to the household: Qiqi, an alien she found clinging to life in the untouched part of Mars. Together with her working class aunt and uncle, the family rehabilitates her to health. 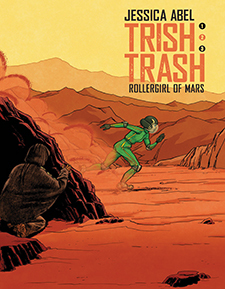 Meanwhile, life on Mars is getting harder and Qiqi’s presence brings a new financial burden. 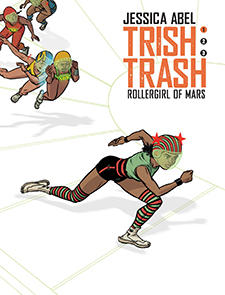 Trish’s contract with the roller derby team is at risk as she needs to help provide for her family. Will Trish respond with her normal move of speeding away?